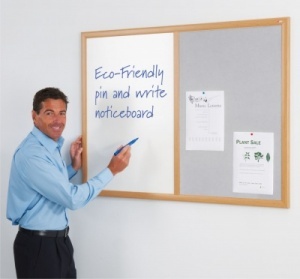 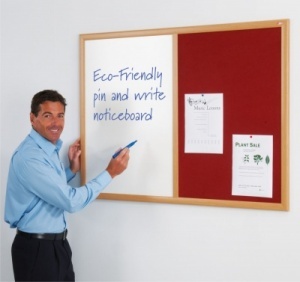 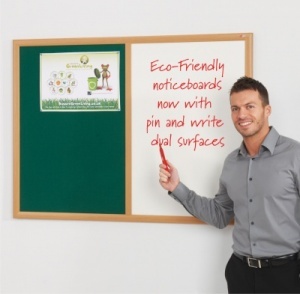 Available in 3 standard sizes our useful dual purpose noticeboard is almost entirely constructed from timber industry bi-products, and recycled materials. 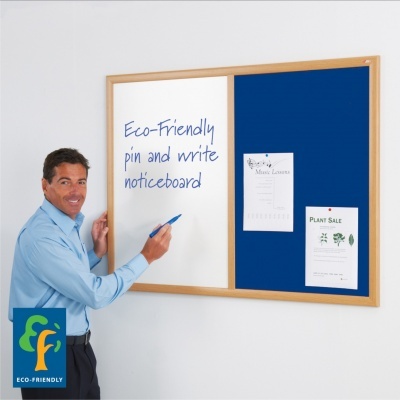 It features an attractive contoured 35mm wide frame which is finished in a light oak effect, with a half non magnetic drywipe whiteboard complimented by a choice of five felt colours or traditional cork for the noticeboard surface. 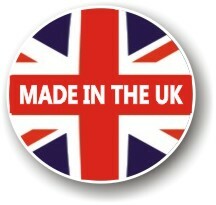 Wall fixings are supplied.